New stage race in northeast Italy begins with a 23.3km team time trial. 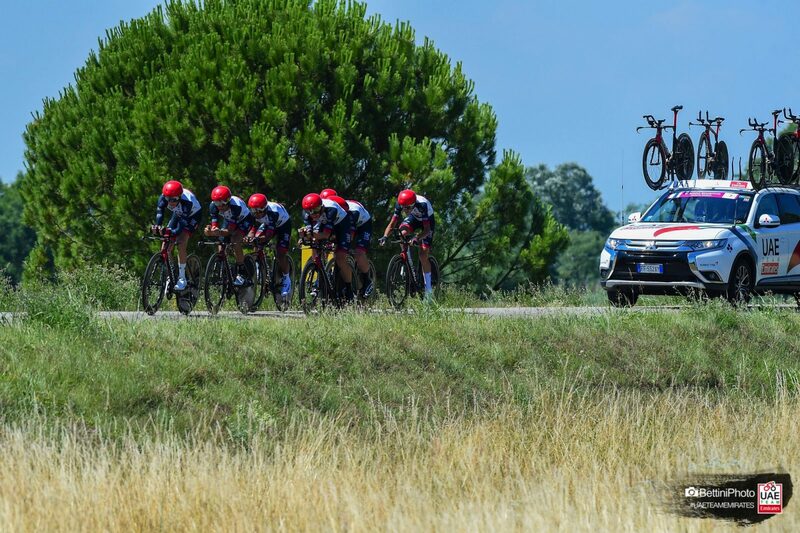 UAE Team Emirates raced to the second best spot in the flat and fast stage from San Donà di Piave to Lido di Jesolo. They recorded a time of 25-42 minutes. The Emirates team averaged 54.39kmh over the distance, but not fast enough to topple Quick-Step Floors. The Belgian WorldTour team won the stage with 25-28 minutes. Tomorrow, the riders race the second stage. They cover 152.5 kilometres from Lido di Jesolo to Maser with two categorised climbs along the way.